When your business is Software as a Service, or SaaS, Who’s got the App? “OCCloud9 does”. The integrity of your SaaS infrastructure is critical to its success. OCcloud9 offers SaaS hosting expertise and a variety of products and services to help ensure that your software application is delivered securely and reliably. 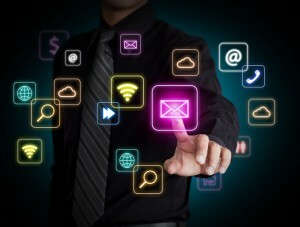 Web-enabled applications are as diverse and unique as the companies that develop them. They require unique operating specifications and technical issues from varying computer requirements, storage, security needs and regulatory compliance measures to an often unpredictable load. At OCcloud9, we have the technical expertise to help you by designing hosted application infrastructure that’s best suited for your custom app. OCCloud9 offers SaaS customers an array of cloud, dedicated, and hybrid hosting services. Dedicated hosting provides data isolation and high performance. Cloud gives you the flexibility to affordably scale your app as needed. Hybrid allows for multiple hosted solutions. Choose the right infrastructure for your application, so you can deliver a solid and reliable end-user experience. Build a test & dev Environment in the Cloud. Flexible Solutions from Your Office to Our Cloud or a Hybrid of Both. Test & dev is crucial for ensuring your code is ready for prime time — but it can be costly and complex to create and manage your own development, staging, and production environments. When you turn to OCcloud9, however, you get a flexible and reliable mix of cloud, dedicated, and hybrid test & dev options. Cloud gives you a fast, affordable test and dev environment. Dedicated provides traditional and virtualized environments for increased performance and the data isolation of a private, dedicated infrastructure. Contact us today to learn more about the power of the cloud via email: sales@occloud9.com or call us at (949) 699-6619.